The DNA profile of a suspect in the murder of a Lincolnshire man has been secured, detectives have confirmed. 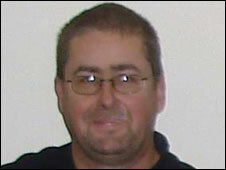 Alan Wood, 50, was tortured and murdered at his home in Lound near Bourne last October. The case featured on the BBC's Crimewatch programme earlier this week and officers said they are still working through the responses. The police team said they do not have a match for the profile yet but are using it to eliminate suspects. As part of the Crimewatch programme, detectives revealed Mr Wood had been stabbed and had his throat cut. He was also forced to hand over his bank cards and pin numbers before he was killed. The cards were used, possibly by the murderer, in the nearby towns of Bourne and Stamford several times between 22 and 25 October. Officers said Mr Wood, who lived alone in a small bungalow in a remote area, had no known enemies and described him as a "gentle, kind and well-liked" man who "avoided confrontation". An e-fit picture of a suspect has also been released, along with CCTV of cash being withdrawn from Mr Wood's account by an unidentified man. Det Supt Stuart Morrison, who is leading the investigation, said: "As a result of the forensic work we have done, we have blood from within the crime scene. "From this we have developed a DNA profile which I am confident is of one of the people involved in the killing Alan Wood."